Shelter have uncovered that 1 in 10 property agencies don’t accept DSS tenants. They are campaigning to make it obligatory for agents to accept tenants on what used to be called housing benefit and is now called Universal Credit. Is this solely an issue of the agency or are there other factors at play? In this blog we will look at some of the issues that landlords encounter. 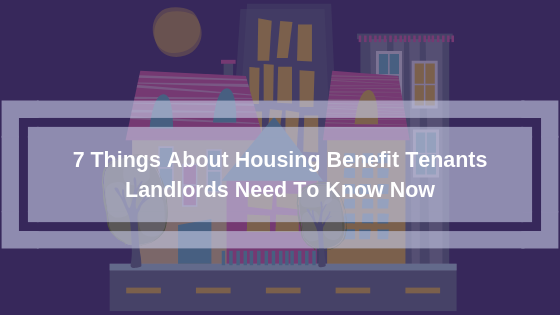 Before accepting a Housing Benefit (Universal Credit) tenant there are a couple of steps you as the landlord need to take and some things to bear in mind. Firstly you need to check that there aren’t any stipulations in your mortgage agreement that prevent you from accepting tenants in receipt of benefits. Similarly you need to check your insurance policies to make sure you’re won’t be breaching any terms as this will jeopardise your cover in the event of a claim. It may cost more to purchase a policy that allows these tenant but check you will receive the same cover and that the premium is not loaded. The rental value the local housing authority will agree to pay is often substantially less than the current value on the private market. Are you happy with the rent offered? It used to be that the council would pay the agreed rent straight to the landlord. Now the allowance is paid to the tenant, who then has to budget the money and make sure that there is enough to pay all their rent, living expenses and commitments. Whilst many tenants will ensure the rent is paid, there are some, who will not prioritise their budget as you would like. Most tenancy agreements for professionals require rent to be paid periodically in advance. This period could be weekly, monthly, quarterly or six monthly. However with housing benefit tenants (Universal Credits) it is normally paid four weekly or fortnightly in arrears. Only if the tenant owes arrears of more than eight weeks rent can the landlord request that rent be paid directly to them. Even then it can still take time for the local authority to confirm this and re arrange payment to the landlord. This is obviously a concern for many landlords, as it could mean several months without the rental income. It is usual for tenants to pay a 6 weeks’ dilapidation deposit – held against any breaches such as damage or unpaid rent. It is unusual for a deposit to be paid by the council and the tenant is unlikely to be able to afford it . If a problem arises and it is necessary to go to court for possession on any grounds whether mandatory or discretionary, the judge will often give the tenant favour or more time. This is due to the shortage of social housing as it would be the responsibility of the local authority to house the tenant in council accommodation. All these points make renting to DSS tenants a much riskier proposition for a landlord. Here are some recommendations landlords can take to protect themselves. Ask the tenant for a guarantor who will meet the requirements set for private tenants. Ask for the rent in advance. Always make sure the rent is paid on time. If it goes into arrears contact the guarantor promptly. If it gets further in arrears contact the local authority and insist on direct payment from the local authority to you. Keep on top of the payments and don’t leave it too long to take action. Shelter have implied that agents are discriminating against tenants on housing benefit and the law needs to be changed so that all agencies and landlords accept local housing authority tenants. It seems to be that the local housing authority needs to make some changes to the system to give more peace of mind to landlords. The likeliness of that happening is so unlikely so it is down to you the landlord. Your property is a source of income to you, like most businesses you can choose who you do business with and for a profit. It is not discrimination, it is a business proposition. In fact for landlords who do accept Universal Credit tenants, it could be said that they are discriminating against professional tenants who will generally pay market value, pay their rent in advance and a deposit. Maybe it is semantics but landlords the choice is yours, make sure you keep that choice. If you found this article useful please share with other landlords.